80 FEET OF SANDY BEACH! 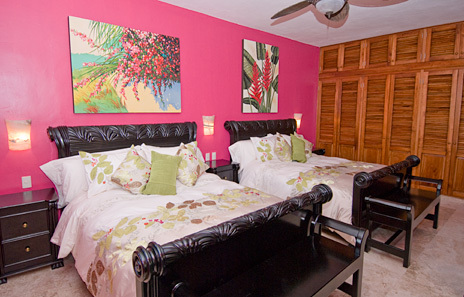 Guesthouse #1: Located on second level of separate casita, 1 king and private bath. 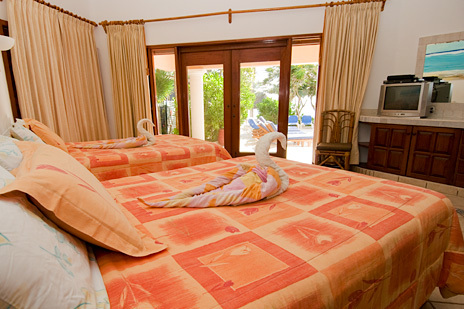 Rates based on 8 guests in the main house. 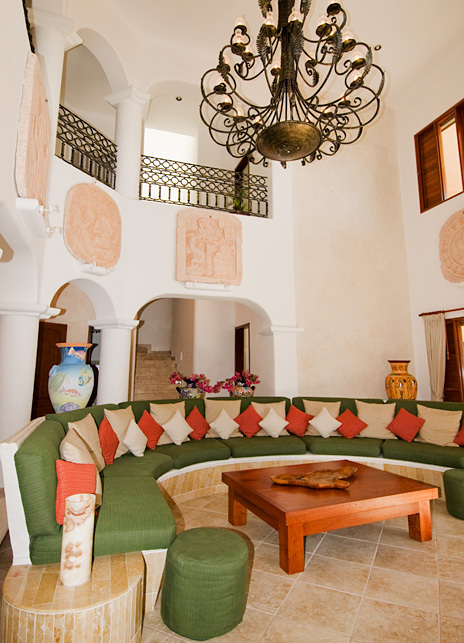 If you would like to rent a luxury vacation villa that is truly elegant, deliciously secluded and incredibly spacious, you won't find any place better than Villa Yardena. 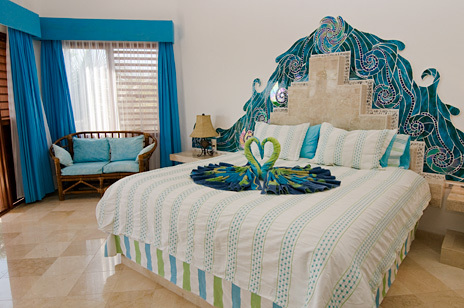 The Yardena vacation rental villa has been carefully decorated and appointed both inside and out. 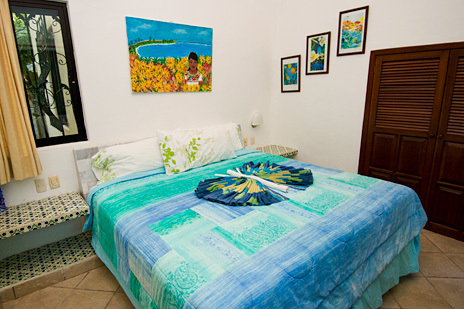 Marble bathrooms, gracious Spanish archways and lush garden landscaping have created an ideal tropical setting for a perfect vacation getaway. 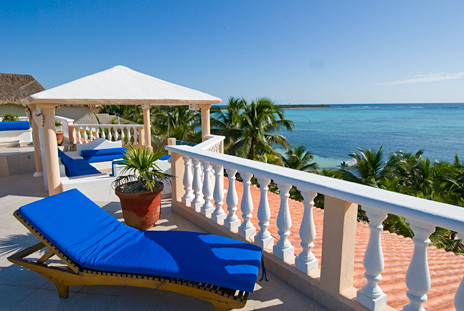 Casa Yardena offers 80 feet of powdery white sand on quiet Soliman Bay where you can take long walks along the palm-fringed shore. 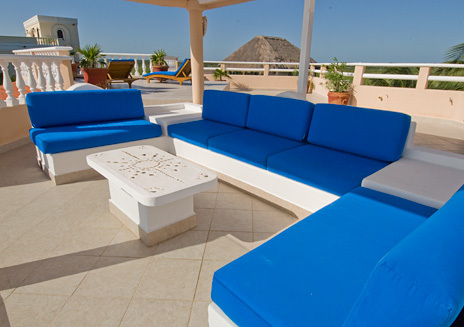 Or slip into a lounge chair along side the huge 20'x45'-foot swimming pool and enjoy an icy drink. 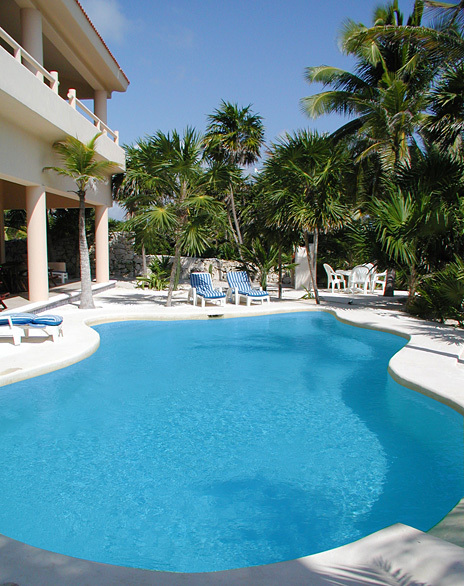 Take a dip in the pool, day or night. 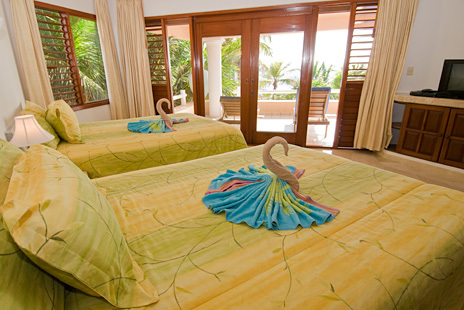 Enjoy postcard views from the spacious balconies of the turquoise waters of the Caribbean and the palm fringed beach. 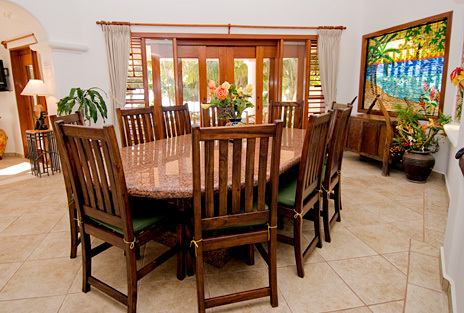 The Yardena vacation rental home has been carefully designed for the ultimate in comfort, both inside and out. To capture the incredible views of the glistening bay from throughout the villa, the architect included large windows and sliding glass doors facing the Caribbean. 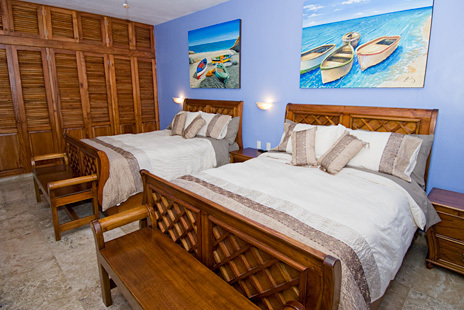 All the creature comforts have been provided, including computer with internet connection, satellite TV, stereo, CD player, jacuzzi, barbecue grill, rooftop observation area, 3 sea kayaks, ping pong table, beach towels, hair dryers and more. 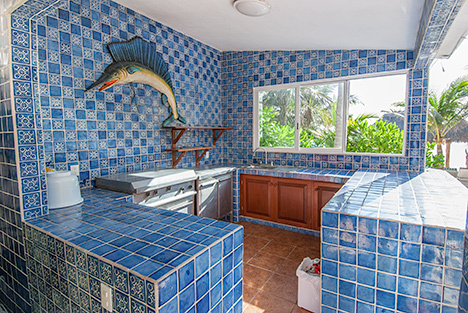 Full-time cook is available to prepare breakfast, lunch and/or dinner and can also serve snacks and drinks while guests lounge on the patio or beach. 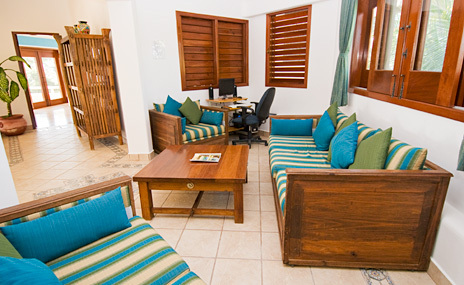 Relax and be pampered in style. 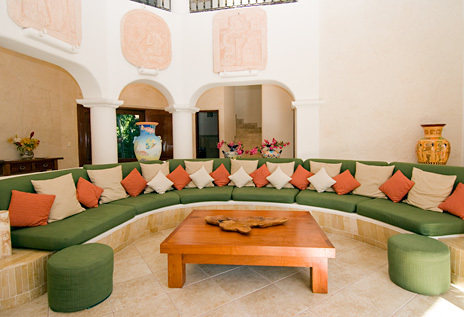 Savor the flavors of the Yucatan in the comfort of this spectacular beachfront villa. 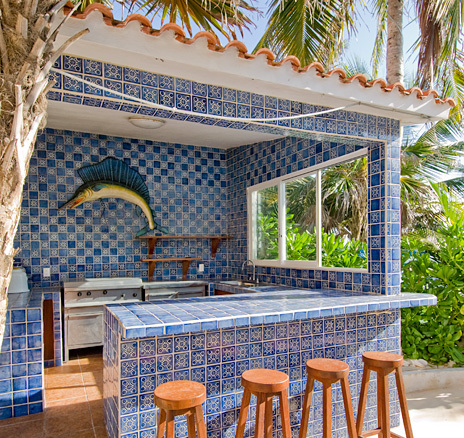 A number of restaurants are available in Tulum, 10 miles south or Akumal, 10 minutes north. Nightlife is hopping at Senor Frog's and other hot spots in Playa del Carmen, about 30 minutes away; there is also a nightclub at Hacienda Dona Isabel, within a five- minute drive. 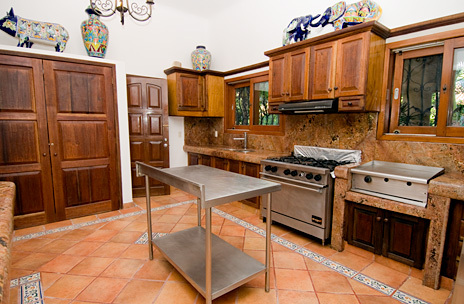 Villa Yardena luxury vacation rental villa is an ideal base for a group of up to 26 to explore this exotic location on the Riviera Maya. 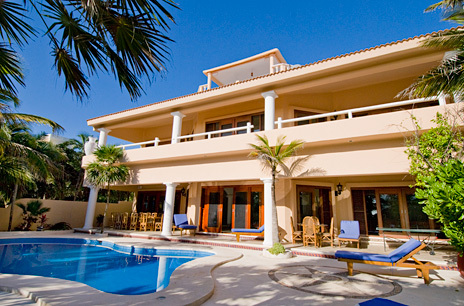 Casa Yardena offers seclusion, luxury and proximity to local sites of interest. 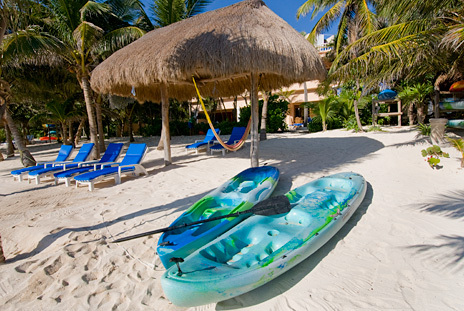 Sightseeing opportunities in the area include the ruins of Tulum, the eco-archeological park of Xcaret and the snorkeling extravaganza of Xelha. Shopping at Mexican shops, selling everything from jewelry to hammocks, handicrafts and art, is available in Playa del Carmen. 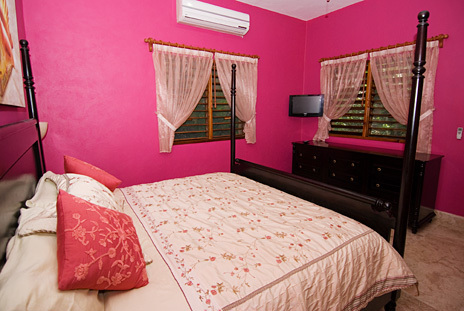 Other activities include scuba diving, deep sea fishing, horseback riding, jungle treks and spelunking. 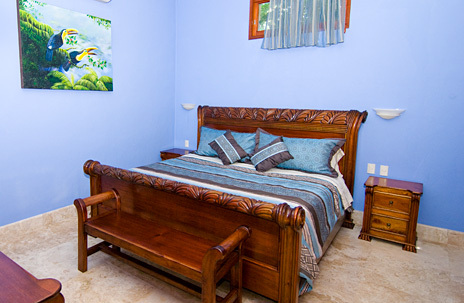 When you're done with a full day of activities, retreat to the privacy of your home in paradise. 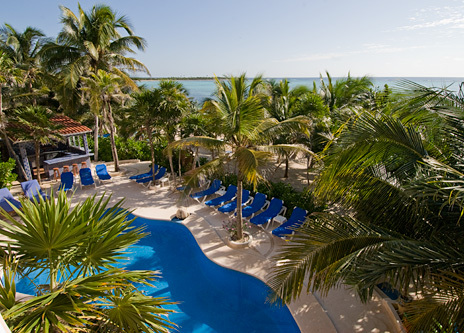 Located on Soliman Bay, about an 1.5 hours south of Cancun, this area offers the ultimate tropical getaway. 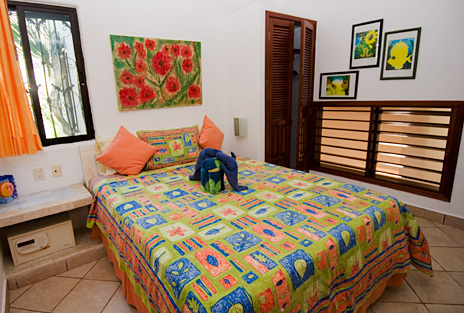 If you are seeking solitude on a pristine bay, Casa Yardena vacation rental villa is a perfect choice.